Fully compatible with the AstralTM range of ventilators, it is designed to reduce the risk of everyday accidents through added mobility, security and convenience. Its minimalist design offers stability when stationary. Its light weight and built-in handle make it easy to move from room to room. 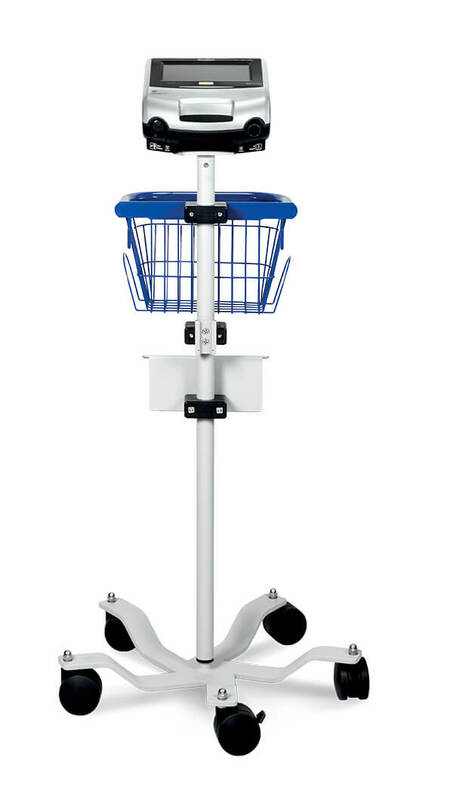 An integrated storage basket keeps patient accessories and supplies tidy and at hand. Mobility: a mobile stand with a built-in handle and 360° swivel wheels helps to simplify the task of moving between different environments. Safety: the secure frame and top mount protect the attached device against day-to-day knocks, spills and accidental loss. Practicality: a convenient basket, central stand and cable hooks reduce clutter. Convenience: accessories and components remain within easy reach.